Chief Minister Isuru Devapriya unveils a plaque to mark the opening of a section of the new school building. Picture by Kolonnawa Group Corr. He was addressing a meeting after opening the second and third floors of a three storey building built by the Council at a cost of Rs. 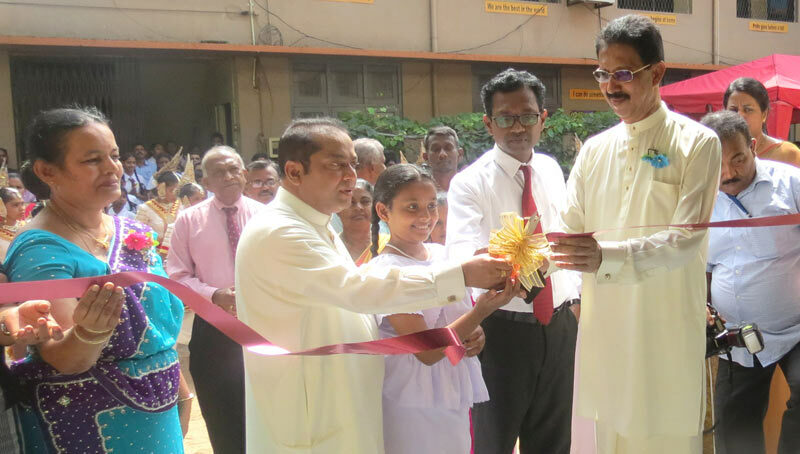 7 million at the Kotikawatte Balika Vidyalaya on the same day. The Chief Minister said children who had obtained 150 to 175 marks would be admitted to the new school in Madiwela. The school which would be the first smart school in the country will have a sports stadium like that of the Sugathadasa Stadium. He said that on the instructions of the President, the council had heavily invested to promote education in the province.